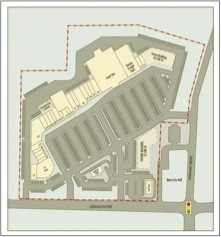 Westgate Commons is a 50-acre mixed-use development in the Cool Springs Area of Williamson County, TN. At its completion in 1997, the project contained 9 restaurants, 2 upscale automobile dealerships, several free-standing retail and office buildings all located on 24 separate parcels. It contains the first Restaurant Park developed in the State of Tennessee, and helped fuel national interest in the Cool Springs area of Williamson County as it began to emerge as the new epicenter for commercial activity in greater Nashville. Historic Significance - The development of this property resulted in an Historic re-zoning that culminated as the City of Brentwood celebrated its 25th anniversary. The City was recognized by the State of Tennessee for its role working with a developer and surrounding neighbors to bring about this successful model. 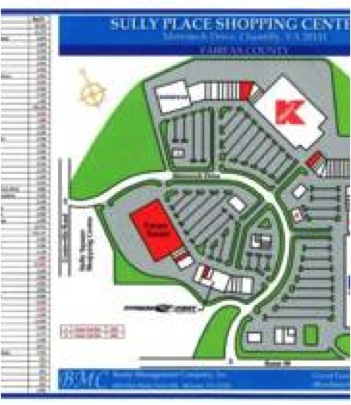 Soon after the project was approved, Primus announced plans to relocate to its current site in Cool Springs, provided the City of Brentwood would allow Carothers Parkway to be extended north to Moores Lane. This was certainly a reasonable and logical condition, yet it created a political firestorm among the Brentwood City Commissioners, who did not want Franklin traffic funneled onto Brentwood streets. Having the Primus headquarters in Cool Springs would create the impetus needed to draw other corporate headquarters and office tenants. The success of the Cool Springs development would promote growth in other sectors of the local market, tending to create a balanced local economy. The importance of creating such an employment center did not escape the eye of Governor McWhirter. Since Primus had conditioned its relocation on a Carothers/Moores Lane connection, it came down to having an important collector street, and Primus, or a dead end road. When Williamson County and the City of Franklin had exhausted their efforts to end the gridlock, the uncooperative stance of Brentwood prompted the Governor to consider invoking the States right to condemnation. While the State, County and two Cities argued the fate of Primus, and future growth of Cool Springs, the survival of Westgate Commons hung in the balance. Lamoureux Properties proposed the current design of the North Carothers connector to officials of the State, Primus, the surrounding neighborhoods, and both Cities. The local residents heartily embraced the plan and politics gave way to construction. The State agreed to fund $10 million in road improvements for Brentwood, Primus opened its new Headquarters, and Carothers Parkway is now an undisputed success. The development of Westgate Commons pioneered the concept of a mixed-use business park anchored by auto dealerships and restaurants in the Southeast. Towards the end of the real estate recession of the early 90's, Westgate Commons emerged alongside Home Depot as the first major developments to break ground since the opening of the Galleria mall in 1992. Today the development is also home to the first Tesla dealership in Tennessee. This 24,000 square foot building became the first Class-A office condominium of its type in the area. Its superior architectural design, location and building features broke new ground in Office Condo development. Pre-wired with CAT-VI cable, the building boasted a plug-and-play environment which catered to an upscale, small office clientele. Completed in 2004, the building sold out at nearly $100/SF higher than any such property before that time, and has since become the standard of comparison in the market. Seven Springs is 42 Acre Suburban Office Park adjacent to the American General Campus and Brentwood Commons Office park in Nashville. A successful rezoning effort in 1999 produced a master plan supporting more than 700,000 square feet of office space. Seven Springs wascompleted in partnership with Solomon Builders in 2000-01. The development is now home to HCA and Lifepoint hospital management companies, The District Apartments, St Martin Square residential condominiums, Realtracs, Star Physical Therapy, Physicians Urgent Care, Firebirds Restaurant, and numerous other office and retail tenants. "Brentwood real estate developer Wes Lamoureux expects to complete later today his acquisition of nearly 43 acres of land for a new commercial development in Nashville called Seven Springs. The site is located on Old Hickory Boulevard near Interstate 65. It could support 800,000 square feet of premium office space over time. Houston-based Cypress Senior Living currently has a contract for 7.5 acres to build a senior independent living building and a senior assisted living building on the site. Birmingham-based Compass Bank has provided a $9.4 million acquisition and development loan. Lamoureux also developed Cool Springs retail and office complex Westgate Commons." Georgetown Park was developed in two phases. The first was completed1981, the second in1987. The original developers, a joint-venture partnership including Western Development and The Donohoe Companies, sold their interest in the property between the completion of the two phases.1981, the second in1987. The original developers, a joint-venture partnership including Western Development and The Donohoe Companies, sold their in terest in the property between the completion of the two phases. The buyer was Colwell-Banker Fund V “ a partnership comprising the pension funds of AT&T and Lucent. Coldwell-Banker Development in Los Angeles was tasked to design and build Phase II of the shopping mall. With its offices on the west coast, the Company needed a local presence to coordinate this effort. In addition to being Manager of the Washington, D.C. office for Coldwell Banker, Mr. Lamoureux was also one of the most experienced Commercial-Retail specialists for the Company in the mid-Atlantic region at the time. Mr. Lamoureux was enlisted to provide progress reports and oversight of the construction, and given direct responsibility for the leasing of Phase II of the mall. The challenge was in attracting New tenants to an area experiencing a decline in retail sales, resulting mostly from inadequate parking and the increasing presence of younger, less Affluent shoppers. Mr. Lamoureux worked directly with the architect and developer to Incorporate the concerns of existing merchants with the area trends, and the physical constraints of the property itself. Having been invited to contribute to some of the design elements, Mr. Lamoureux then helped create a leasing plan which resulted in the addition of more than 40 new retail stores. Located at the corner of Wisconsin and M, this mall was built to blend with the classic look of the Georgetown neighborhood. The mall extends underground and has preserved the facades of the previous architecture. Phase II added an upscale blend of trendy high end shops and restaurants that helped re-vitalize area retail sales. 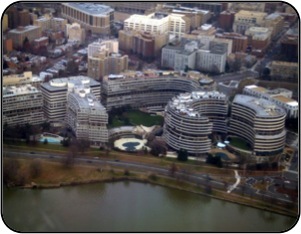 The Watergate complex is an office-apartment-hotel complex built in 1967. The Watergate superblock is bounded on the North by Virginia Avenue, on the east by New Hampshire Avenue, on the south by F Street, and on the west by the Rock Creek and Potomac Parkway. It is in the Foggy Bottom neighborhood overlooking the Potomac River, adjacent to the Kennedy Center and the Embassy of Saudi Arabia. The two Watergate Office Buildings are at 600 New Hampshire Avenue NW and 2600 Virginia Avenue NW. The complex, consisting of the buildings at 2500, 2600, and 2650 Virginia Ave. NW and600 and 700 New Hampshire Ave. NW, was listed on theNational Register of Historic Places on October 21, 2005. Anescalator from the street serves a retail center in the basementlevel, with a Safeway Supermarket, a CVS pharmacy andseveral small shops. At street level facing the Kennedy Center are several upscale shops and restaurants. office and retail components of the Complex from late 1985 to1988, and during that time had his office on the fifth floor of the 2600 Virginia Avenue building. In 1972, the Democratic National Committee had its headquarters on the sixth floor of the 11-story 2600 Virginia Avenue building, off-set and just above the office Mr. Lamoureux once occupied. The Crossings shopping center marked Beatty Development Companies entry into the Tennessee market. Mr. Lamoureux was successful in re-zoning the property and anchoring the 110,000 SF center with Food Lion, Burger King and Taco Bell.